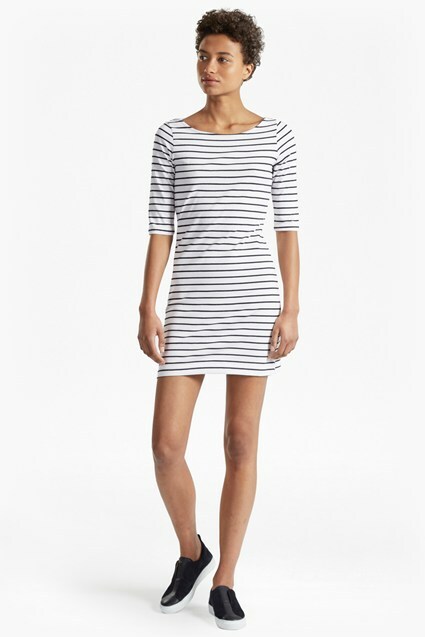 A classic striped dress is a wardrobe essential, and our Tim Tim Striped Dress is an instant classic. This season's update sees a simple monochrome stripe punctuated by colour blocking across the back, casting a flattering contouring effect. The form-skimming dress is a relaxed piece perfect for pairing with trainers.